Viknesh Vijayenthiran November 21, 2010 Comment Now! 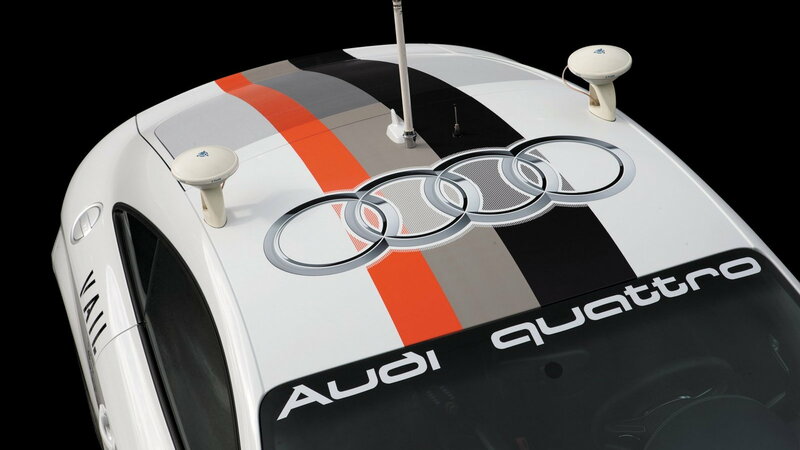 Ask Rhys Millen or Nobuhiro "Monster" Tajima if they'd like a robot to take their place on the Pikes Peak rally course, and you're likely to get punched in the face. But ask the average driver trying to negotiate the tricky pass (or one like it) in winter, and you might just get hugged. 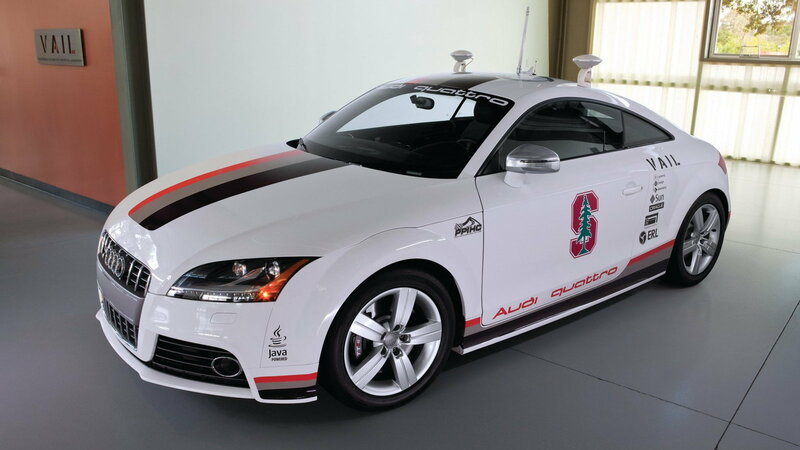 Audi, together with Stanford University, has developed a car that can complete the treacherous path all by itself, a goal that has been achieved for the first time. 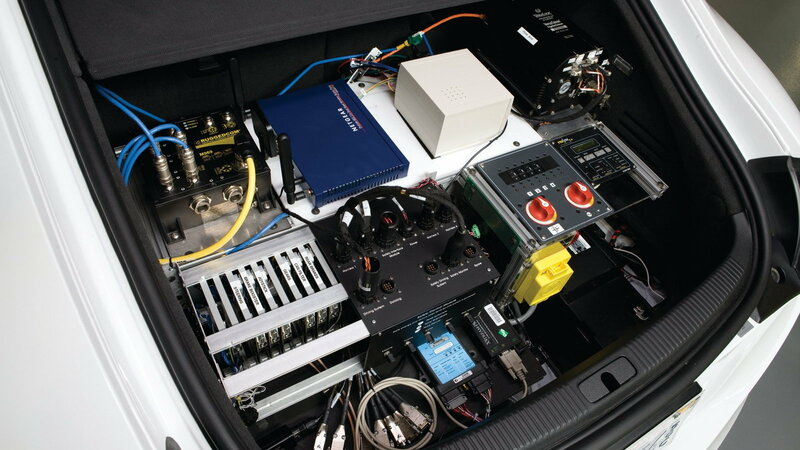 Autonomous, or ‘self-driving’ cars, are nothing new and have successfully completed road courses countless times in the past, but for one to ascend to the 14,110 foot summit of Pikes Peak, all while tackling its myriad of corners and sheer drops, is nothing short of amazing. 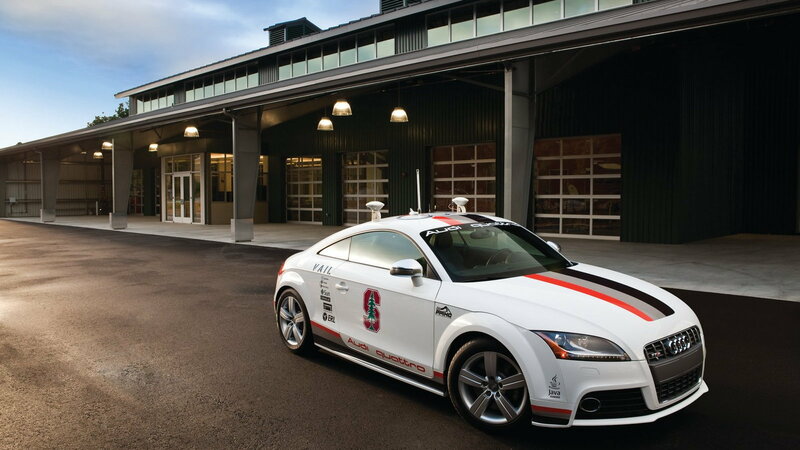 Audi’s autonomous car is based on the TTS sports car. 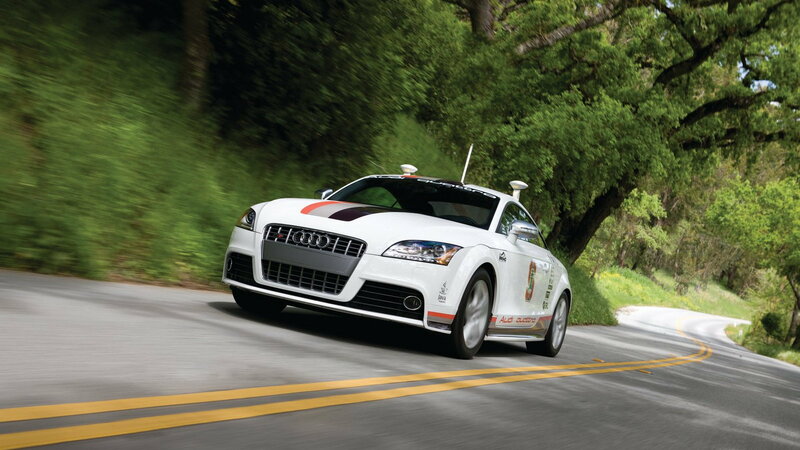 Named "Shelley," after famed Audi rally racer Michele Mouton, the robot car took a respectable 27 minutes to complete the 12.42 mile Pikes Peak run. Human drivers typically take around 17 minutes. For more details check out our previous coverage here.